Sadly, the Montreal store has closed in 2016. MAY 2013 UPDATE : The store has moved! The address at the bottom is the one for their new location. Happy shopping! 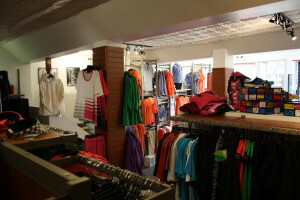 It is after whining to my friend LP about the lack of technical fabric-made apparel in plus sizes that he told me that there was a store on St. Laurent (Montreal’s main street) around Laurier, in the Mile-End, that caters to plus-size women sports apparel needs. Always on the prowl for businesses fulfilling my needs in terms of clothing that is backpacking friendly (quick to dry, light and resistant! 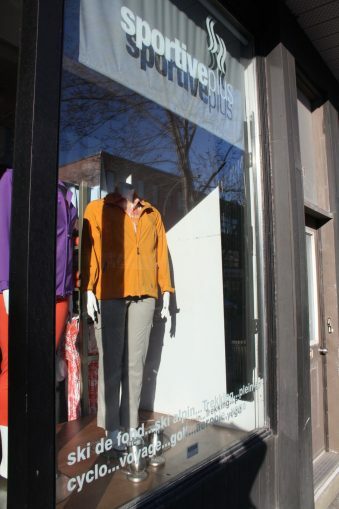 ), I had to have a look at Sportive Plus, so I setup an appointment with Caroline, the manager, telling her about this blog and my desire to check out her store to see if it could be interesting for my fellow PS backpackers. And I felt like Ali Baba entering the Forthy Thieves cave (hence the title) ! 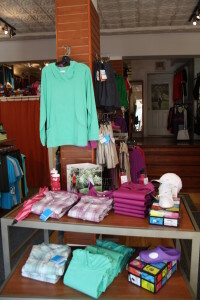 They are the ONLY store in Canada to specialize in technical fabric clothes in plus sizes. 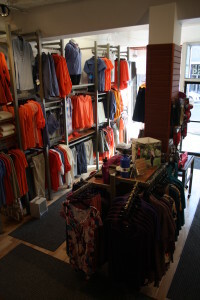 They also carry well-known brands like Columbia, TYR swimsuits, Glagla ventilated – and washable ! – shoes (apparently miraculous for those who suffer from smelly feet). 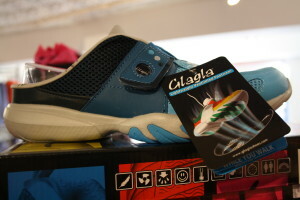 They also have their own designer and house brand, named Sportive Plus. Exception made of the cruise wear section, most of the items are made of different technical fabrics (the same used in regular sized sports clothing), with humidity repelling, anti-bacterial and/or quick-dry features, to only name a few. 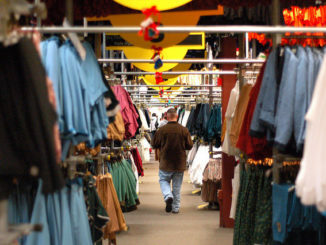 Most bottoms (capris, bermudas, convertibles pants and skorts) range between 70-125 CAN $, with the exception of shorts (less expensive around 50-60 CAN $). Some might consider it expensive. To that I have only one answer: check out similar products, in regular sizes, in outdoor sports, and you will realize that… the prices are pretty much the same! Considering there is more fabric involved in plus-size clothes, we end up getting more for our money! Tops (yoga, gym and casual) mostly range around 65-75 CAN $ a piece, and some feature a “keep it together” (I call it “wrapped like a fajita”!) design to make sure that your curves don’t bounce around when you run, pump iron or salute the sun. on their website’s online shop! They just moved on St Denis St would be nice of you to change the address…..
Hello there, I discovered your blog via a link on the Sportive plus facebook page. I look forward reading it. Sportive plus is my favorite store. 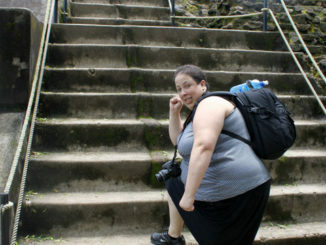 I am plus size and like to be active (ski, bike, walking in the forest). I found all I needed there to do these things and appreciate these activities even more. If you have any suggestion or comments, you are welcome to make them here or by using the “Contact Me” form. Indeed, Sportive Plus is a great store.